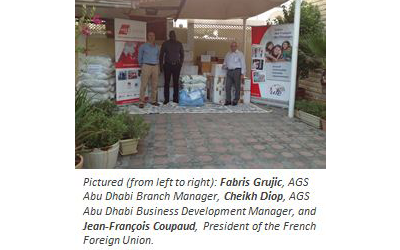 ABU DHABI: The local AGS branch in Abu Dhabi has joined forces with the UFE (French Foreign Union) to provide the packing boxes required to get emergency supplies gathered in the Emirates to displaced survivors, estimated to number over 600,000. Super Typhoon Haiyan, which left a massive trail of devastation, ripped through the islands at wind speeds clocked at up to 315km/h. The storm has left many thousands without essential medical and food supplies. The local branch of the UFE is busy collecting donations; the Red Cross will be responsible for distributing the supplies once they have been unpacked in the Philippines. The main goal is to get the supplies to those in need with extreme efficiency. AGS Movers Abu Dhabi hopes their efforts make a difference and is proud to be part of the international relief effort as aid streams in from all corners of the globe.